Pain is one of the most common and disturbing of human experiences. While it has many causes, the appreciation of painful sensation depends on the stimulation of pain receptors (nociceptors) and the conduction of the nerve impulses into the central nervous system. The thalamus, as a principle sensory station of brain, is composed of series of nuclei. Thalamic nucleus submedius (Sm) is one of thalamic nuclei, which may turn out to be very important in pain perception. Fig. 1. 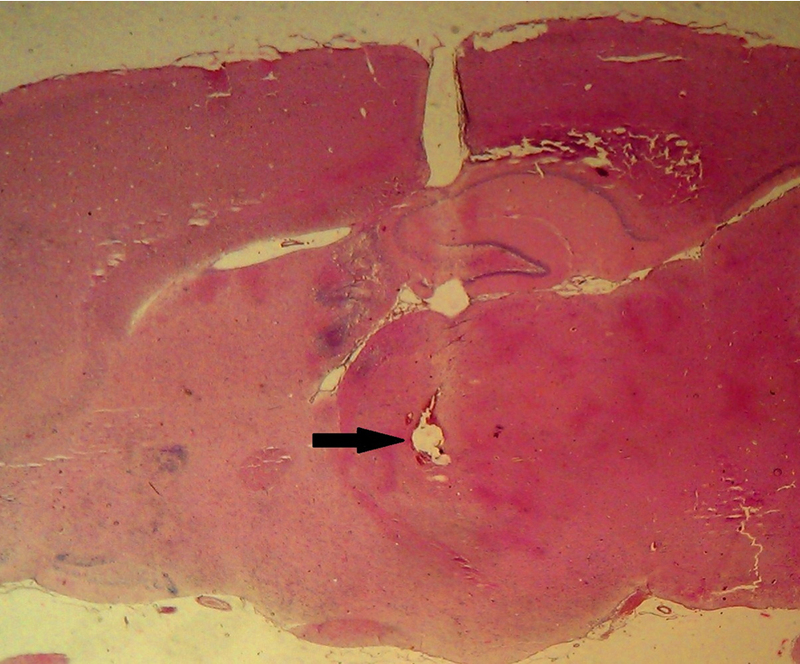 Location of the injection cannulas tip in the thalamic submedius nucleus of rats included in the present study. The Sm, ventrolateral orbital cortex (VLO) and periaqueductal gray (PAG) constitute a pain modulatory pathway. Activation of this system may lead to stimulate the PAG–brainstem descending inhibitory system, which depresses the nociceptive inputs in the spinal cord and trigeminal nucleus. A number of studies have provided evidence for this hypothesis, and various types of neurotransmitters and their corresponding receptors are involved in this pathway. Histaminergic neurons have their cell bodies in the tuberomammillary nucleus of the hypothalamus, and their axons project to all parts of the brain, including the cerebral cortex and the spinal cord. The four known types of histamine receptors (H1, H2, H3 and H4) are found in both peripheral tissues and the brain. In addition, increasing evidences showed histamine and opioid systems involvement in supraspinal modulation of pain. In this study, we investigated the effects of separate and combined microinjections of agonists and antagonists of histamine H1 and H2 and opioid receptors into the thalamic Sm nucleus on the experimental model of orofacial pain. Two guide cannulas, were implanted into the right and left sides of the Sm in anesthetized rats. Orofacial pain was induced by subcutaneous injection of a diluted formalin solution into the vibrissa pad and face rubbing durations were recorded over a period of 45 min. Subcutaneous injection of formalin produced a biphasic behavior of face rubbing (first phase: 0-3 min and second phase: 15-33 min). Separate and combined microinjections of histamine H1 and H2 receptor agonists (2PEA and dimaprit, respectively) and opioid receptor agonist (morphine) attenuated the pain related behavior. The analgesic effects induced by histamine H1 and H2 receptor agonists were blocked by prior microinjections of naloxone (an opioid receptor antagonist). In addition, prior microinjection of histamine H1 and H2 receptors antagonists (fexofenadine and famotidine, respectively) inhibited the morphine-induced analgesia. The results of the present study suggest that at the level of the Sm, activation of the histamin H1 and H2 and opioid receptors attenuated inflammatory orofacial pain. In addition, at the level of the Sm, the histamine H1 and H2 and opioid receptors interact with each other in mediating the pain originating from orofacial structures. 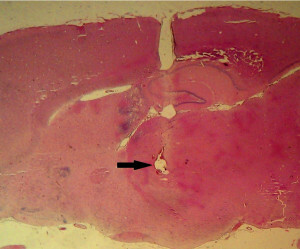 Role of the thalamic submedius nucleus histamine H1 and H 2 and opioid receptors in modulation of formalin-induced orofacial pain in rats.